Four children were taken for a hospital check-up after coming into contact with “tablets” at a West Yorkshire primary school. The alarm was raised around 1pm today at Holywell Green Primary School near Elland. A woman in her 20s has been arrested in connection with the incident. West Yorkshire Police has not said what was in the tablets. One parent claimed a bag of drugs was brought into the school on Stainland Road by a child. 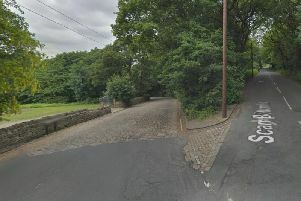 In a statement the force said: “Police were called at around 1pm to an incident at a primary school in Elland in which some children had come into contact with what believed to be tablets. “Four children were taken to hospital as a precaution, but have since all been discharged. “A woman in her 20s has been arrested in connection with the incident. Calderdale Council’s Director for Adults and Children’s Services, Stuart Smith said: “We are aware that some children from a school in Calderdale have attended hospital today and their parents have been informed.